Are you interested in learning about electricity and how it works? In this session you will build a flashlight, an electronic game, and complete challenges from electricians! Are you interested in programming robots, or maybe, program robots in competition? Come on out and build your EV3 robot and learn how to program your robot to do a wide range of maneuvers. 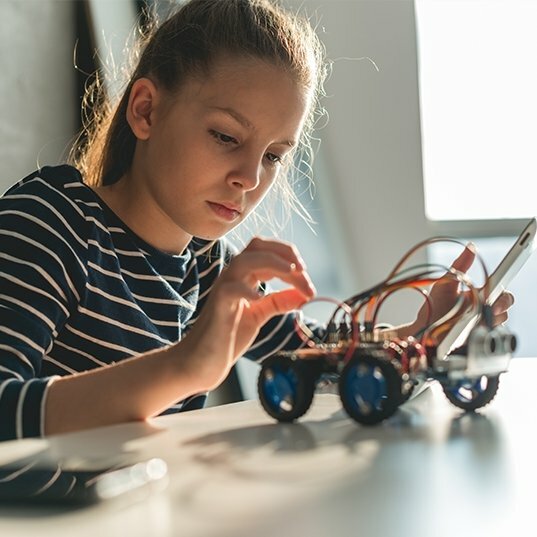 You will learn all about building robots, sensors, gears and programming the robot computer through different challenges. Email Name Phone Quantity We won't share your address with anybody else.